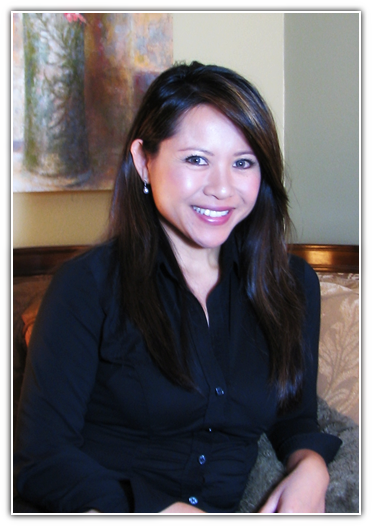 As a licensed Clinical Psychologist practicing in Temecula, California, and treating clients from all over South Riverside and San Diego Counties, I have had the pleasure of working with a wide range of wonderful individuals. I love what I do! My practice includes adults, adolescents, children, couples, and families. I have been working in this capacity for 15 years and have had the joy of seeing many clients find happiness, growth, self-awareness, and freedom from chronic emotional pain and debilitating circumstances in their lives. I specialize in trauma/abuse recovery, relationship repair, anxiety and panic, depression, eating disorders, and child and adolescent issues. I will work with you to establish the best treatment for you and/or your family, which may include a one-time assessment, ongoing therapy (brief or long-term), psychological or educational testing, or a referral to another specialist who may be better able to assist you and your need. My desire is that you obtain the help that is right for you. With regard to trauma, I utilize a cutting edge, scientifically researched, and highly effective technique called EMDR. This method uses bilateral stimulation to help unlock disturbing memories from one’s past that may be causing current distress and emotional pain. This “unlocking” process allows the brain and the heart to finally process and let go of trauma and the feelings associated with it. Healing can occur much more quickly than with talk therapy alone. When seeing children, I assess the child’s issues and work collaboratively with parents to come up with a plan to change dysfunctional behaviors, as well as work with the child in healing hurts/fears/hardships that may have created these patterns. The good news is that children are resilient and generally have less emotional pain to process and overcome than do adults. My therapeutic style is compassionate, genuine, intuitive, and eclectic, combining the best of my training and experience to bring you help that is effective and tailored to your unique needs. As a Christian, I believe that God created each individual wonderfully and with a special purpose; however, this is marred and one’s self-view and view of others becomes clouded by past hurts, emotional pain, unmet needs, and wounds both shallow and deep. As a result, negative and self-defeating patterns are created and can run one’s life. Unresolved trauma and pain also can deaden our hearts and numb our senses so that life becomes dreary and every day is a burden to bear. Moreover, we can become vulnerable to things that bring us temporary pleasure and excitement (such as addictions to substances, food, spending, unhealthy sexual behaviors), which are damaging to our lives and our relationships, and are poor replacements for true happiness and fulfillment. In addition, chemical imbalances in the brain may be playing a part and causing undue struggles. Proverbs 4:23 says “Above all else, guard your heart, for it is the wellspring of life.” Restoration for your heart and mind is possible… If you are hurting, my hope is that you will take a step toward healing. If you believe that I can help, then please call (951-231-1667 ext. 1). I would love to meet you. My education and training has been extensive and by renowned experts in the field of psychology as well as the integration of psychology with Christian faith. I received my Bachelor’s degree from Biola University in Psychology and Christian Education, my Master’s from Pepperdine University in Clinical Psychology and Marriage, Family, and Child Counseling, and finally my doctorate degree from California School of Professional Psychology in San Diego. My journey as a therapist started in 1993 as an intern at a battered women’s shelter in Fullerton, California, and since then, I have interned: as a school therapist in San Juan Capistrano, for the YWCA’s counseling center, at a mental health hospital in South San Diego, and at other community counseling centers. I have worked as the director of a community mental health clinic (UPAC Counseling and Treatment Center), testing and assessment psychologist for Children’s Institute International, and provided psychological screening and assessment for Bethel Seminary in San Diego, and now in private practice in Temecula for the past seven years. I also have been the guest speaker at major conferences as well as at my alma mater (CSPP in San Diego). Topics have included trauma, stress reduction, depression, work stress, cultural issues, anger, and parenting issues. I am affiliated with International Christian Adoption as their consulting psychologist, The Coalition for Improving Education, and consulted on a nationally recognized research project for the CDC (Center for Disease Control and Prevention) on the association between Thimerosal and neuropsychological outcomes.